The Envelope Edition: A single sheet of handmade paper, measuring 8 ¼” × 5 ¾” folded twice so as to form an envelope. The second fold provided a one inch pre-gummed strip which was folded over to close the envelope. When closed, one side contained Liber OZ while the other was left blank for address & postage. 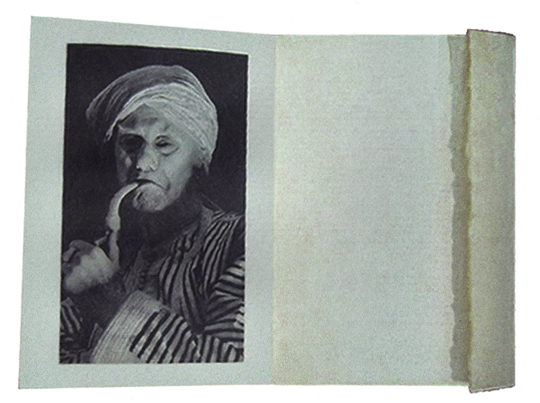 When opened, the inside right page is blank for the inclusion of a message, and the facing left page contained a photograph of Crowley wearing a turban and smoking a pipe (The “Sahib”). 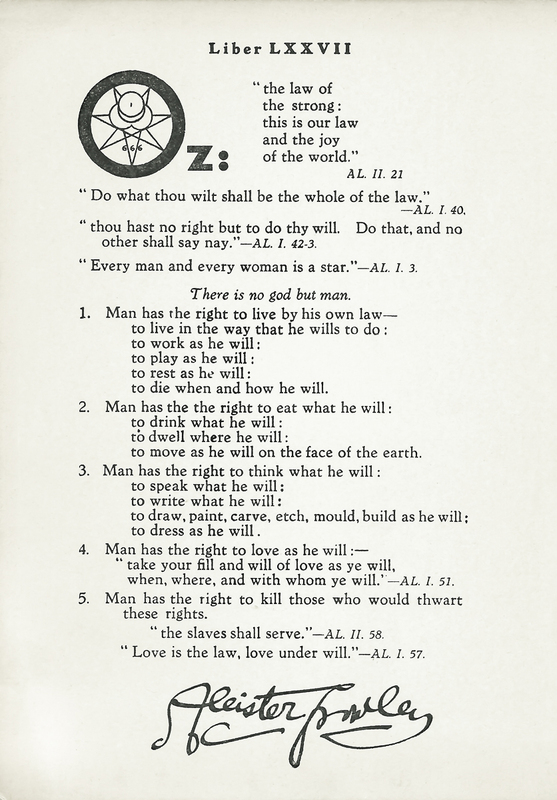 Printed by Chiswick Press on the approximate date of the 21st of March, 1943 – London, England.